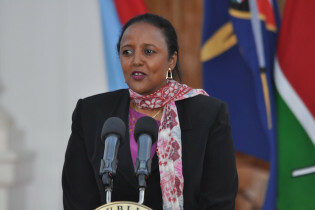 Kenya’s nominees for cabinet secretary positions, who include an unprecedented number of women - six out of 18 - will undergo a gruelling public vetting process by the Parliamentary Committee on Appointments Thursday. Kenya’s newly sworn-in President Uhuru Muigai Kenyatta may be faced with a number of challenges, including an impending International Criminal Court case and a slow economy. But he must also tackle corruption and ethnic divisions as he embarks on his five-year term as head of state of East Africa's largest economy. The wave of insecurity that has hit Kenya in the last few months is causing severe damage to the country's recovering economy, local economists have warned. When Kenyan athlete David Lekuta Rudisha simultaneously became the first person ever to break the 1min 41sec mark in the 800m while also becoming the first person to set a world record at this year’s London Olympics on Thursday Aug. 9, he managed another first. He briefly united an ethnically divided nation. Everlyne Wanjiku, a single mother of five, has earned a living selling vegetables in the sprawling Kibera slum in Nairobi, Kenya, for over three decades. And even though her earnings were meagre, she was able to provide all her children with a tertiary education.